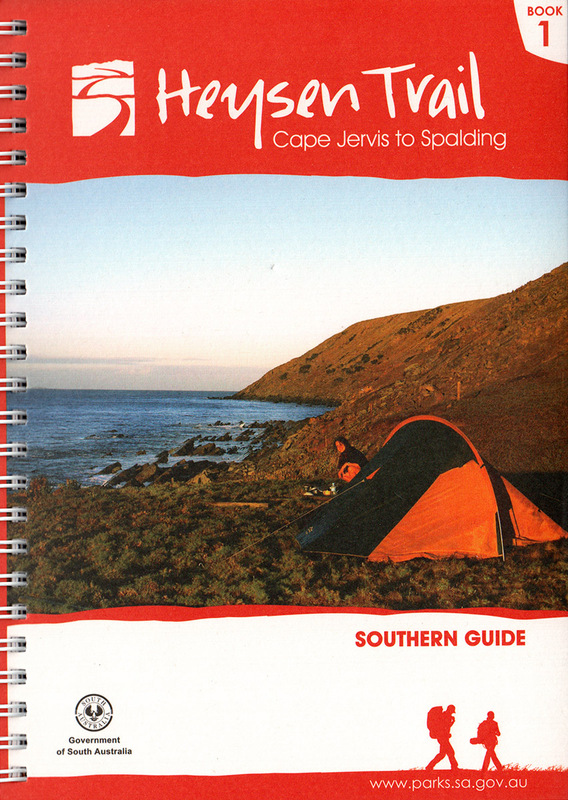 The campsite built in 2011 located on the banks of the Finniss River is not shown in this guidebook edition. 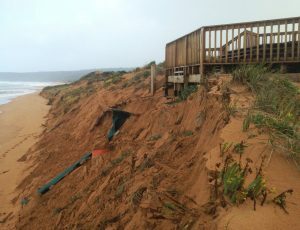 Due to commercial forestry operations the area around Knott Hill, which includes the Onkeeta Trail loop, is closed. A temporary re-route has been marked around the area. The Heysen Trail in Jupiter Creek is temporarily closed due to storm damage. Site inspections at the Jupiter Creek Gold Diggings site – where the Heysen Trail travels through – have identified areas as unsafe due to heavy rain over the 2016 Spring and 2016/17 Summer. The Heysen Trail is closed between Kuitpo Forest and Rowe Road in Jupiter Creek until further notice to carry out safety works. Signage and fencing has been installed. Update June 2016: This re-route has been restored to the original trail. We remind walkers not to enter the Morialta Barns buildings. 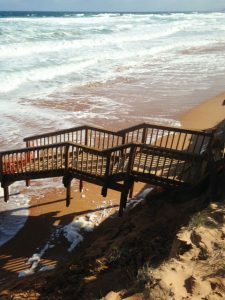 A temporary re-route is in place around Morialta Barns. Walkers should continue along Colonial Drive to avoid the site. Updated 29 Aug 2017: the temporary re-route has been removed, the trail has been restored to its original alignment, with a small re-route crossing North East Road. Following the January 2015 Sampson Flat Bushfire the Heysen Trail has been re-marked through the fireground, from Nugget Road to near Kersbrook. A temporary re-route is in place from Chain of Ponds to Kersbook. 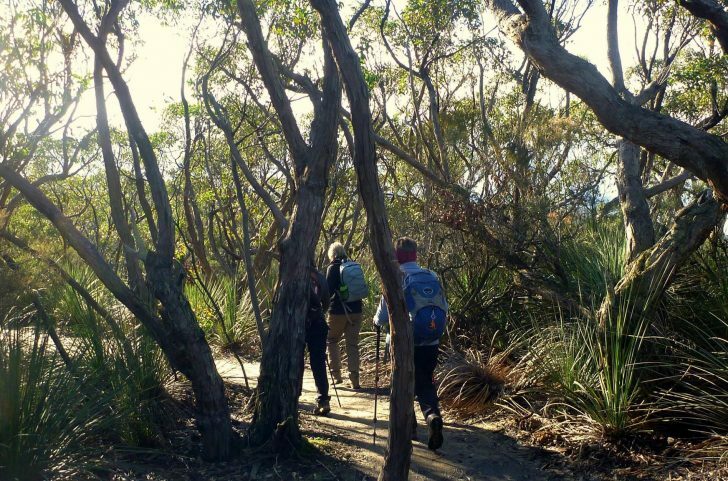 During the restoration of the Heysen Trail to the pre-Sampson Flat fireground route, the trail has been improved and re-routed where it crosses North East Road at Chain of Ponds. Due to commercial forestry operations the area known as ‘Waterholes’ in Mt Crawford, near Chalks Campground and the intersection of Cricks Mill Road and Warren Road, is closed. A temporary re-route has been marked around the area. 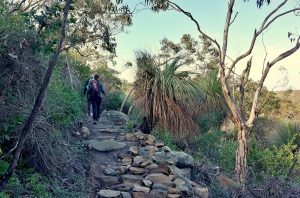 Freemans Hut on the Heysen Trail near Mt Crawford has been closed due to a land sale, and the trail re-routed to continue north along the Wirra Wirra Peaks ridge line [update May 2018] east to follow Wirra Wirra Road to the north to meet Corryton Road. 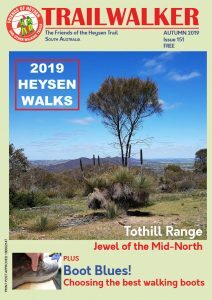 [update May 2018] The Heysen Trail climbs over the summit of Mt Crawford. There is now a river crossing on stepping stones near the base of the summit. When river water levels are high, use the route west over the road bridge.